My artist`s name is MaMuK, Marion Musch Künstlerin, which derives from my proper name and the German word for artist (Künstlerin). 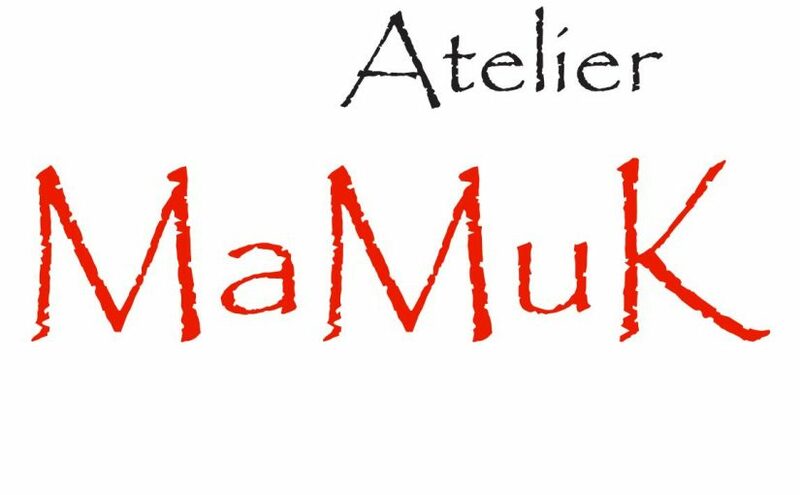 The atelier MaMuK comprises an art workshop, my own studio, and a smaller art room for courses with children, adults, and art therapy. There are manifold opportunities, e.g. a showcase window in the workshop to present my and my student`s artistic works in regularly temporary exhibits, the „stairway gallery“ with changing exhibitions, and the studio`s front yard, which will be opened as outdoor gallery for specific events like the open house day or during the summer holyday program. „Underway“ on an artistic journey with numerous stations, leaving milestones; that’s how my varying artistic work could be described best. My strength is not one homogenous style, but the constant search and development of opportunities to express myself. Painting, especially with natural materials like egg and casein tempera and own discoveries like my red wine ash tincture, is my professional focus and point of departure. From here I find further ways of expression (for example installations and conceptual art) to deepen many complex and contemporary questions like genetic engineering, networking, religion, or dialogue ability. Reflections, human figure, soil-ash-sand objects, angels, cross presentments, and sociopolitical aspects are central to my artistic work.